Hustle Kings may have the baize and shiny balls market all sewn up on PlayStation Network, but there's a new challenger in the form of WSC Real 11, due out in Europe on Friday. Developer and publisher Dark Energy Digital just confirmed the game will feature PlayStation Move support available as a downloadable patch on day one. The game's "Real Cue Action" feature will allow Move owners to use a new precision aim feature to line up shots, with other features including a shot rewind function and online tournaments. We're already chalking our cue in preparation for our upcoming review. 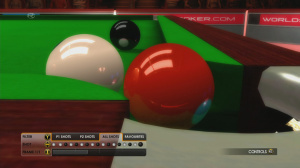 11th April 2011 – Manchester, UK/… Dark Energy Digital today announced that WSC Real 11, the official game of snooker, will feature full PlayStation Move support on PlayStation 3 when it launches on April 15th, 2011. WSC Real 11 for PlayStation Move on PlayStation 3 will include Real Cue Action: an exciting feature that allows precision aim functionality when using the PlayStation Move controller. Players can use the Move controller to take shots like a pro for an even more realistic snooker experience. 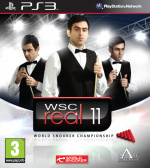 WSC Real 11 promises to be the most exciting version of the top selling snooker and pool franchise for years, with a host of jaw dropping new features including 100% pixel-perfect ball physics, spectacular time-control replay system, all new online tournaments, new rewind system allowing you to retake any shot and re-designed pick up and play controls.